The legal team at LEWIS & DICKSTEIN, P.L.L.C. is aggressive, effective and dedicated to providing the best possible defense to those charged with violation of probation. According to Oakland County judges, “Probation is not a right, but a privilege.” It is a sentence given to someone convicted of a crime that allows them to stay in the community – continuing to work or go to school. It is possible for a person to be sentenced to only probation. However, probation can be ordered after a period of jail has been served. A person placed on probation is supervised by a probation officer. Unfortunately for those individuals sentenced to probation on a felony or misdemeanor in Oakland County Circuit Court or any of the local district courts, judges frequently order so many complex terms and conditions that even the most studious, responsible probationer can struggle to comply. Probation conditions can be numerous and complex; often these conditions take an inordinate amount of time and money. These conditions range from the payment of fines, community service, drug and alcohol testing, classes, therapy, meetings, reporting, tether, AA/NA – just to name a few of the options often used by Oakland County courts. A person is accused of violation of probation when they fail to do something the Court has ordered them to do or do something the Court has ordered them not to do. This could range from anything from failing to pay fines to committing another criminal offense. Often times, an allegation of probation violation occurs when someone complies with a condition of probation but not exactly the way the court ordered. When the Court is made aware of the potential violation, it will generally schedule an arraignment on the violation allegations. Judges in Oakland County frequently revoke bond or set a high bond at the arraignment forcing the defendant to sit in jail and await a hearing date. This is when it is most important to have an expert criminal law attorney with you to protect you and argue for a low or personal bond. If properly prepared, a persuasive and highly effective argument can be made that the defendant should be allowed to remain out on bond pending the hearing date. At the probation violation hearing, a skilled VOP attorney will present arguments to the Court to minimize and explain the situation or have the violation completely dismissed. In many cases, a plan can be crafted by the Oakland County Probation Violation Attorney for a sentence that is an alternative to jail time and will be acceptable to the court as an alternative. The team at LEWIS & DICKSTEIN, P.L.L.C. works together to come up with a plan to minimize or eliminate the impact of violation of probation. We are frequently able to help our client’s avoid jail time, keep an under advisement status, and prevent additional costs and probation obligations. The potential penalty for a probation violation can range from continuing the probation without punishment, extending probation or revoking probation and sentencing the person to jail/prison time up to the maximum that was possible at the original sentencing date. If a defendant was originally given HYTA (youthful offenders), 7411 (drug cases), 771.1 (delayed sentence), 769.4a (domestic violence), a delayed sentence (often retail fraud) or an under advisement, everything possible must be done to keep the conviction from the client’s record. 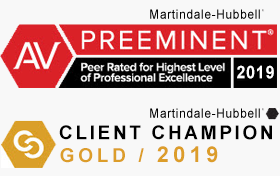 Because there is a lot at stake in probation violations it is important to have the representation of the most experienced, effective criminal defense attorneys possible. The attorneys at LEWIS & DICKSTEIN, P.L.L.C. 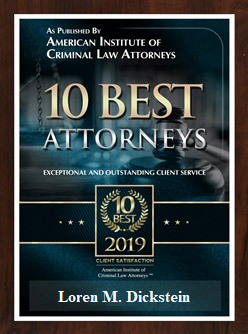 are well-known and respected as top notch defense attorneys and have a history of achieving extraordinary results in felony and misdemeanor cases throughout Oakland County. It takes a very skilled defense attorney to protect you and give you the best chance of an acquittal or dismissal of the violation or a reduced sentence. If you have any questions, please contact LEWIS & DICKSTEIN, P.L.L.C. 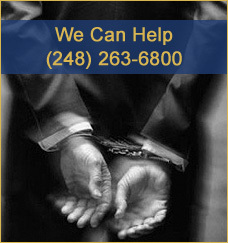 at (248) 263-6800, or complete a Request for Assistance Form and one of our attorneys will contact you. We have successfully handled countless probation violation matters in Oakland County Circuit Court, the 43rd District Court in Madison Heights, Ferndale and Hazel Park, 44th District Court in Royal Oak, 45A District Court in Berkley, 45B District Court in Oak Park, 46th District Court in Southfield, 47th District Court in Farmington Hills, 48th District Court in Bloomfield Hills, 50th District Court in Pontiac, 51st District Court in Waterford, 52-1 District Court in Novi, 52-2 District Court in Clarkston, 52-3 District Court in Rochester Hills and the 52-4 District Court in Troy.